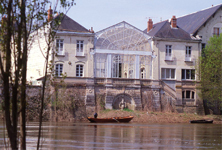 8h35 :Departure for the Loire Valley to discover Saumur and the surroundings !Majestic and free, the Loire has skillfully modeled the landscape of the Loire Valley as we see it today, including the flood overflows that protect the cultivated valley and the troglodyte dwellings dug out of the rock. 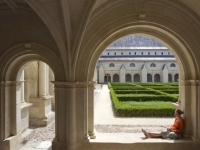 Like a well guarded secret on the banks of the Loire, mainly between Chaumont-sur-Loire and Saumur, the tufa galleries that were formerly used for the construction of châteaux now have other uses. Quarried on the hillsides, these caves are used today as either wine cellars or unique mushroom farms, or transformed into bed-and-breakfast or hotel accommodations. 10h30: Visit of a famous cellar ” Bouvet-Ladubay”which is a cultural site! 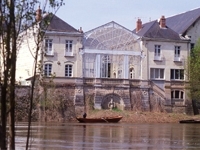 In the centre of the area of Saumur, close to the century-old reputed vineyard, Bouvet-Ladubay welcomes you in its cellars. 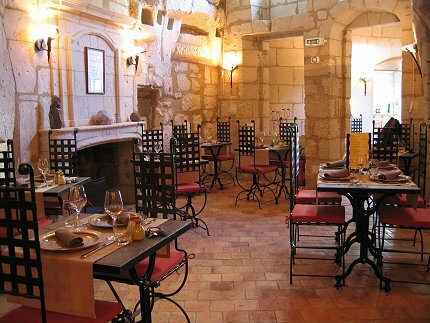 Along its 5 miles long galleries excavated in the “tuffeau” stone, you will discover that for Bouvet-Ladubay, wine is a living art which needs to be elaborated with wisdom, mixing tradition and advance technology. Bouvet-Ladubay has become the fist exporter of SAUMUR BRUT (extra-dry) today and remains a luxurious home-made product above all. On its premises, where “Excellency” is regarded as a reference, Bouvet-Ladubay displays for you all the stages of the making of its vintage wines, from the first fermentation to the labelling of the bottles. You will appreciate the flavours when tasting. 14h00: Visit of the Abbey of Fontevraud : One of the greatest monastic cities in Europe, and royal necropolis of the Plantagenet dynasty, the Abbey of Fontevraud is impressive both in its size and its originality. Transformed into a prison by Napoleon in 1804, it was saved from destruction and became a dreaded penitentiary center. The last prisoners did not leave until 1985. Today, as a Centre Culturel de Rencontre (Cultural Encounter Center, a label from the Ministry of Culture and Communication), the Abbey is a renowned site for concerts, symposiums and exhibitions. 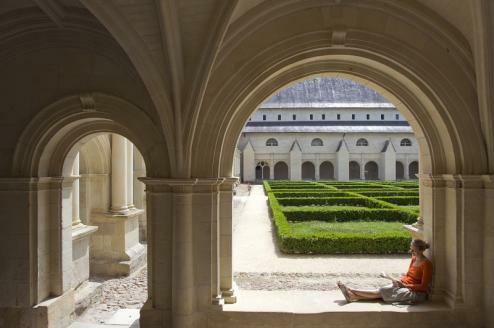 Benefitting from a most prestigious patrimony, the French National Horse-Riding School established itself around the Cadre Noir of Saumur in 1972. Located in the Pays de la Loire region, the School’s ambition is to become the primary center for horsemanship in France (Pole France). 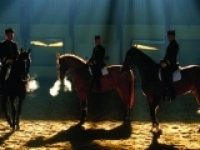 The Ecuyers (riding instructors) belong to the Cadre Noir of Saumur and are the actual teaching staff at the French National Horse-Riding School who are responsible for training and perfecting the horse-riding elite.